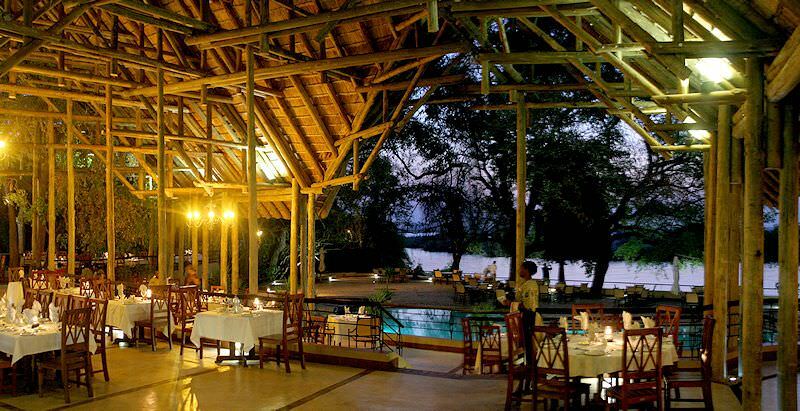 Chobe Safari Lodge provides comfortable four star accommodation right on the edge of Chobe National Park. 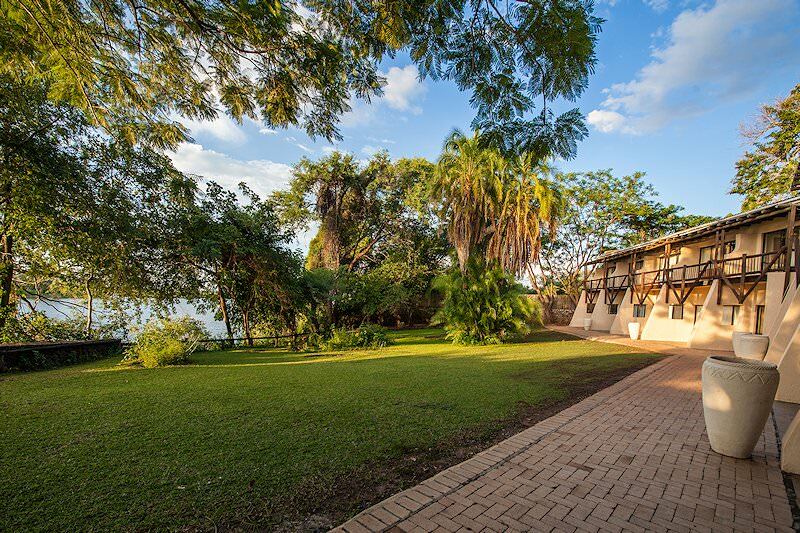 The Chobe Safari Lodge is situated on the banks of the Chobe River, a mere 5-minute walk from the entrance gate to the Chobe National Park. 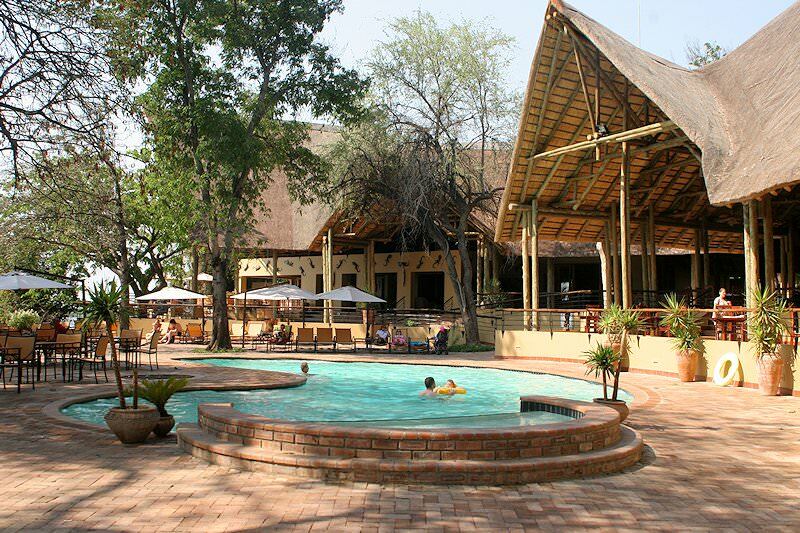 The lodge is located in Kasane, Botswana, close to where four countries – Botswana, Namibia, Zambia and Zimbabwe – meet. 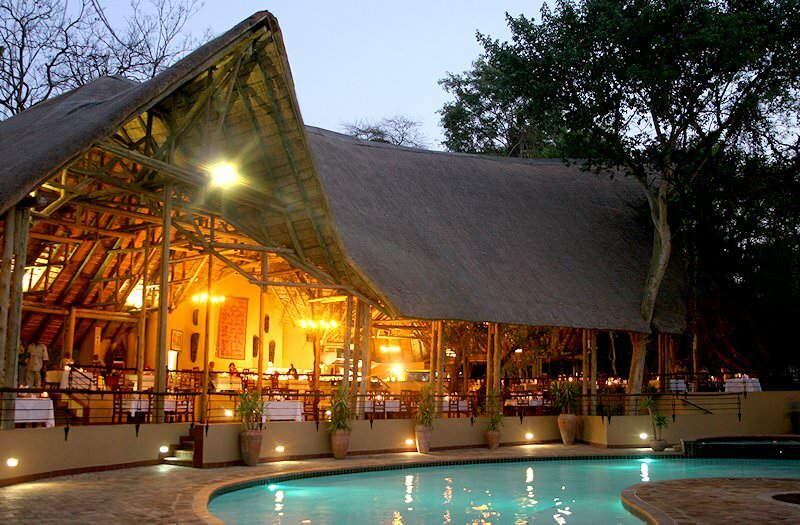 This location is ideal for visiting Chobe National Park, the Caprivi Region or the Victoria Falls. 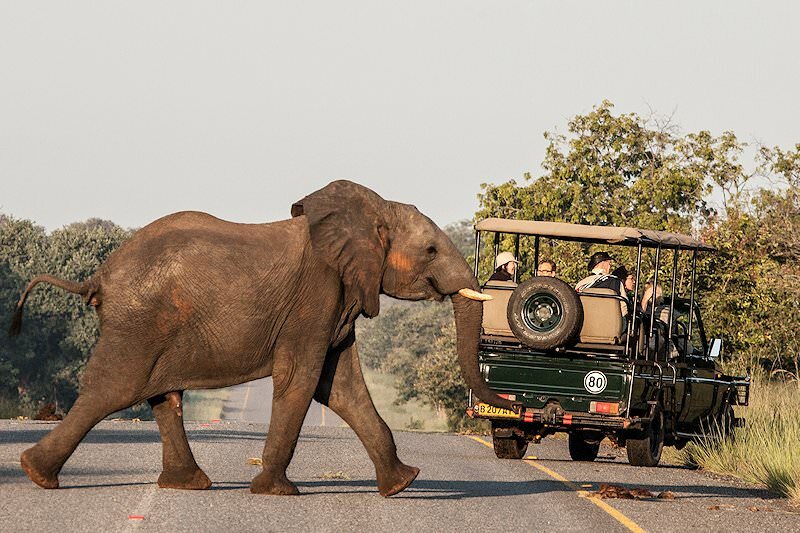 The Chobe National Park is known for extremely large herds of elephants and Cape buffaloes. 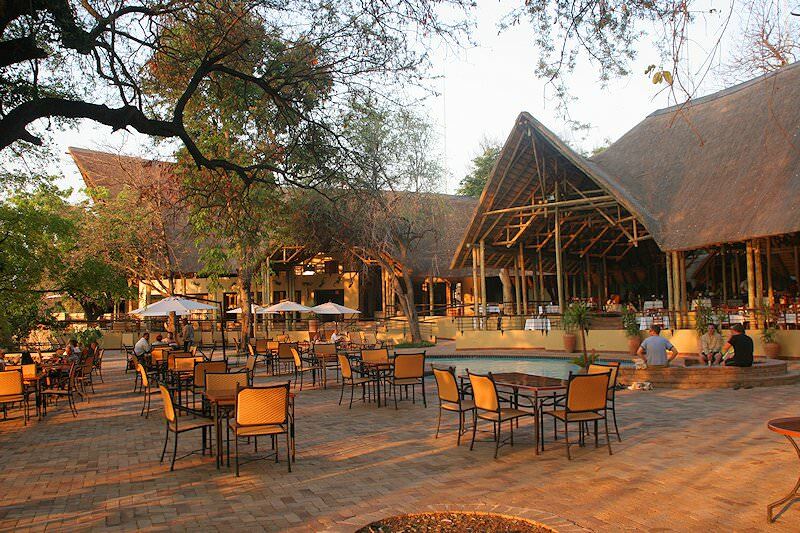 Chobe Safari Lodge is an ideal base for a true Botswana safari experience, with so many attractions nearby. 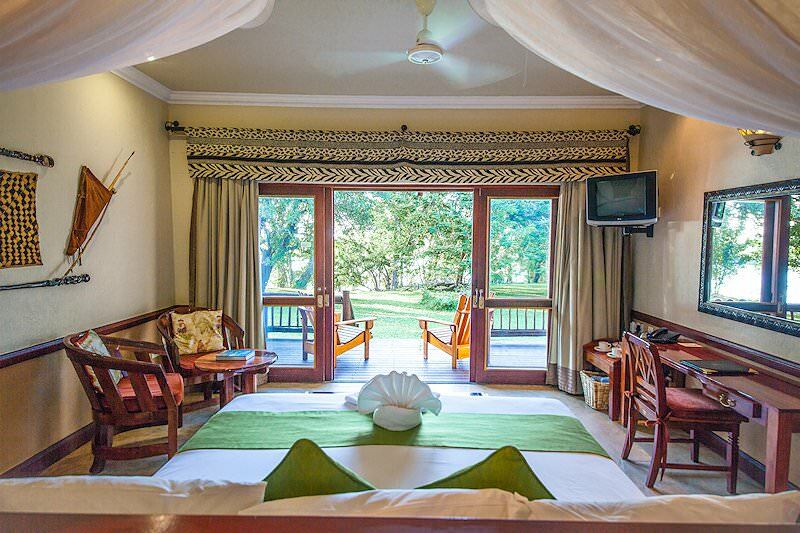 Chobe Safari Lodge consists of 46 Luxury Safari Rooms, as well as 22 Luxury River Rooms and 8 Rondavels (Huts). 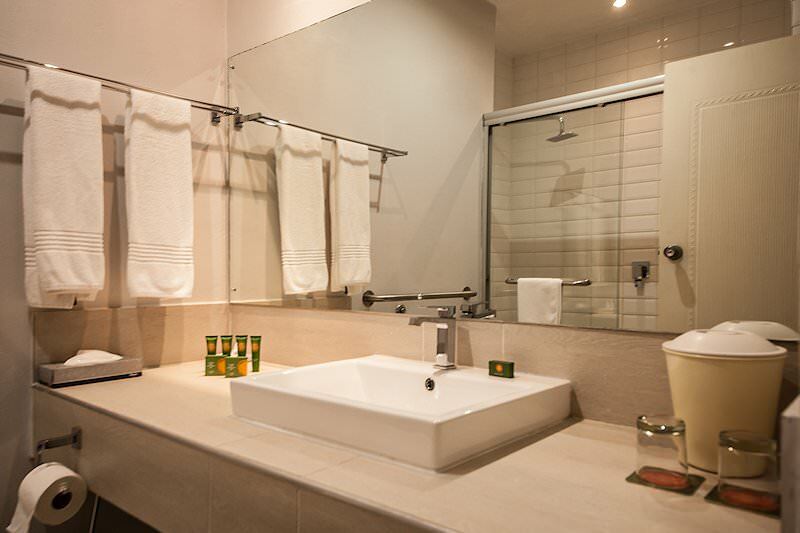 Every Luxury Safari Room has an en suite bathroom with both a shower and a bath. 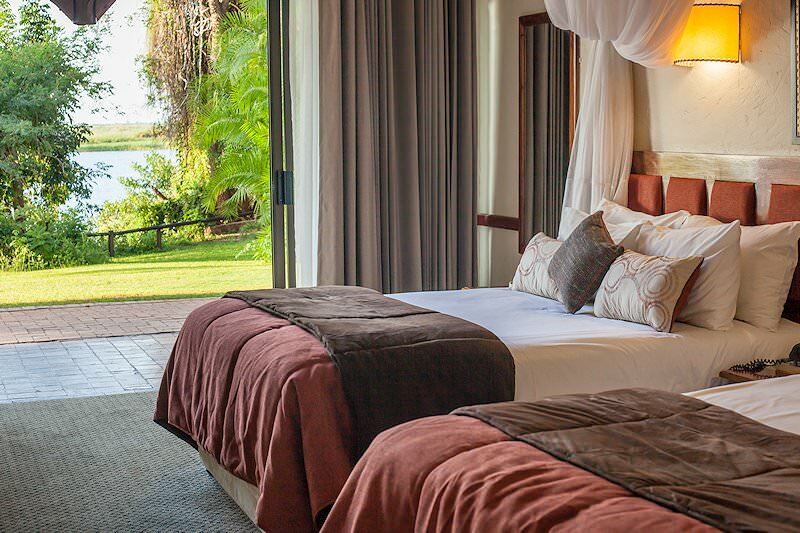 These rooms also feature air-conditioning, satellite television and a magnificent view of the Chobe River. The Luxury River Rooms have similar facilities, but some of the Luxury River Rooms also have an extra room with bunk beds for children. The Rondavels are the oldest buildings and are situated right next to the river. Each rondavel contain an en suite bathroom, ceiling fan and lookout deck. 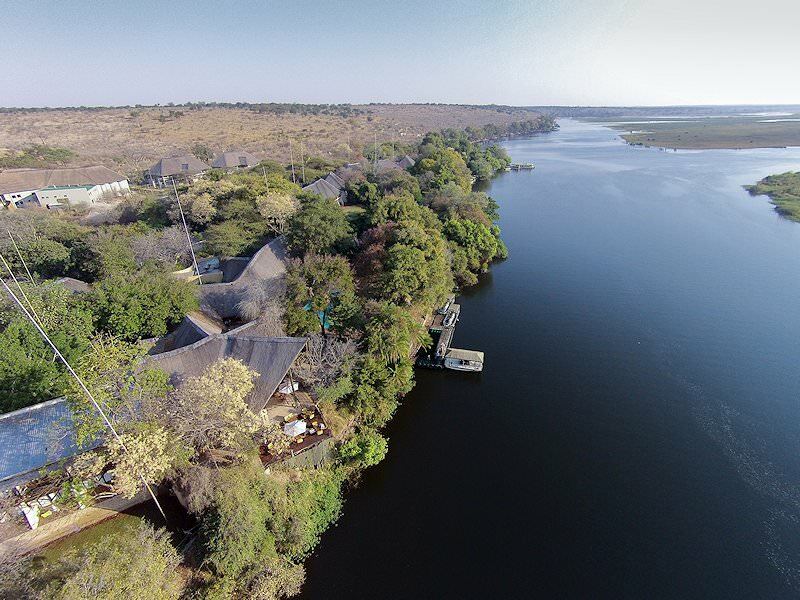 For those who have the courage to take on the African outdoors, Chobe Safari Lodge also has campsites with power points and communal ablution blocks. There are many activities available in the area surrounding the lodge. 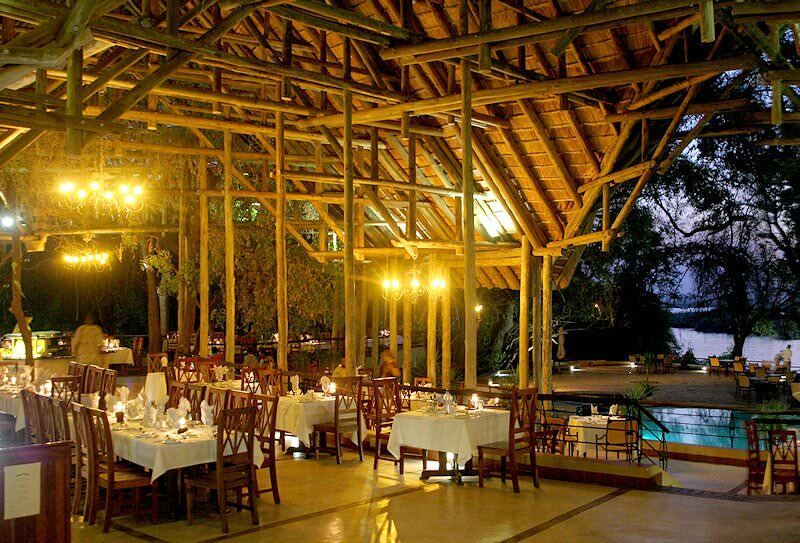 A large restaurant serves a wide variety of meals, and overlooks a pool with sun loungers to relax on. Game drives venture out twice a day in the mornings and in the afternoons. 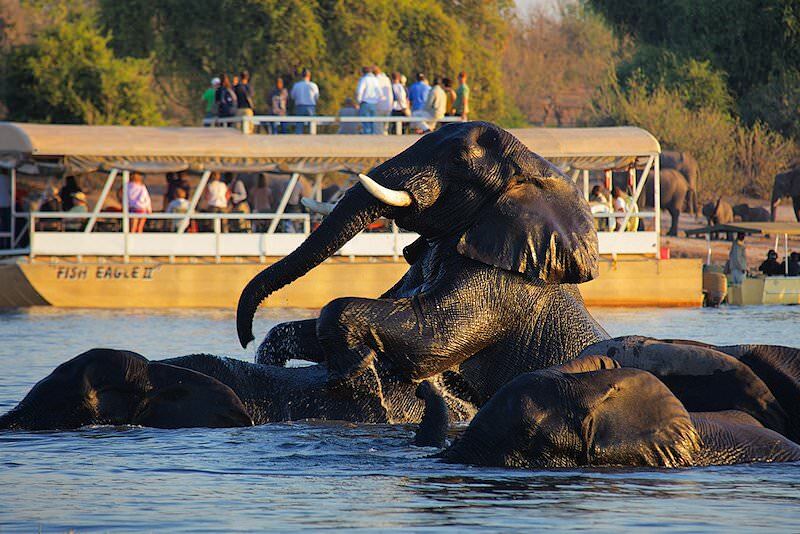 Boat cruises on the Chobe River provide unmatched scenery that will amaze even the most seasoned travelers. Excellent fishing can be enjoyed on the river, as it contains the fighting tigerfish that anglers travel across the world to spar with. There is also the chance to hook bream. Fishing equipment will be provided, along with an experienced guide. 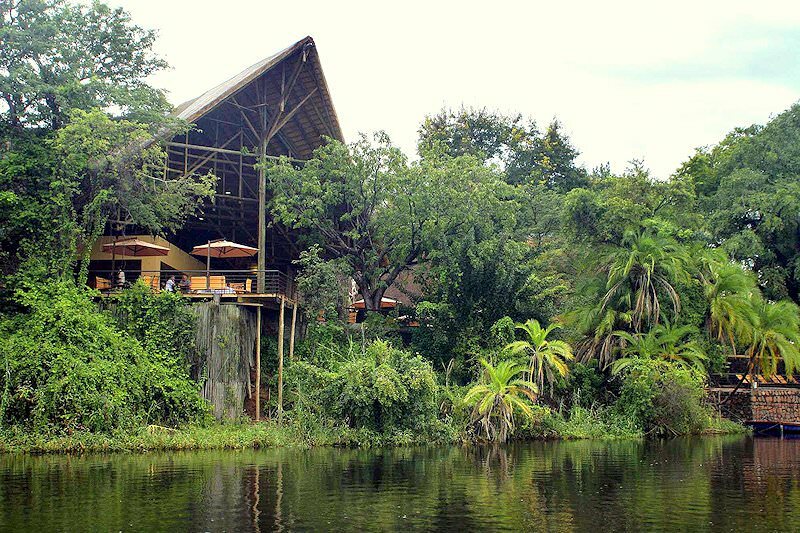 Day trips from Chobe Safari Lodge to the Victoria Falls are also available.